The annual Hotel Stars Awards were recently held in Cairo, Egypt and at the annual event InterContinental Hotels Group (IHG) recognised hotels and people for their outstanding performance and contribution to the business and the local community in which they operate. 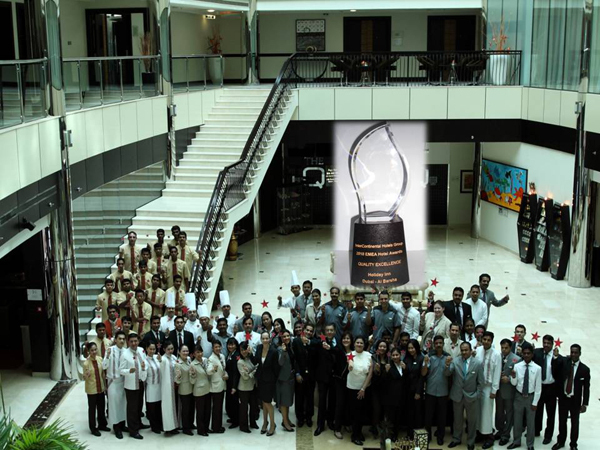 The winners are the best performing hotels of IHG’s 700 hotels across Europe, Middle East and Africa. At the awards held at City Stars Complex, the first integrated urban development in the Middle East with three IHG hotels on the impressive site, Holiday Inn Dubai Al Barsha located in Dubai was awarded the Quality Award Excellence.